Back in 2014 when me and my family moved to Clermont, FL. I had no idea we were going to be a part of such an incredible community. We moved here with the plan to start a business, but that didn’t pan out like we’d hoped it would. Looking back I can see how much we had to learn. We had to weather through different difficult circumstances, but thanks to that we got to meet some incredible people who helped us get back on our feet. I think this is one of the reasons why I feel now it’s time for us to give back to our beautiful city. This is how the Clermont Web Design Pro Bono Project was born. Being a website designer for almost 16 years now, and having the experience of working with many different industries I feel this is one of the best ways I can support new businesses and startups. Last year my friend Steven Cardwell introduced me to Rob Scambia who is among the most generous people I have ever met. His story is nothing short of amazing. After the 9/11 terrorist attacks, Robert felt compelled to show his appreciation and honor firefighters for their bravery and devoted service to our nation. As an aspiring gourmet chef, Robert set out to cook for dozens of stations in South Florida. Robert didn’t stop there, he felt he had to do more so with the help from the Lake County Public Safety Fire Rescue Division he was able to publish “A Hero’s Cookbook“. 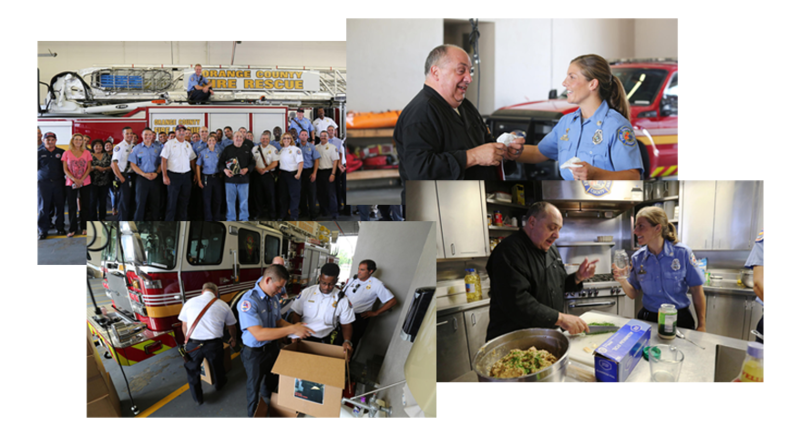 Every recipe in the book is dedicated to a firefighter who enjoyed it or to someone who supported him through this endeavor. Rob Scambia is a man who truly cares about his family, his friends, and his community and it’s through my Clermont Web Design pro bono project that I plan to support more people like him. If you are a photographer, videographer, developer, graphic designer, or a web designer in Clermont and you would like to support people with stories Rob Scambia’s, please contact me so we can give back together. Giving back to make strong communities!